Today's blog post is the fifth of many interview previews of performing choirs for PODIUM ON THE EDGE taking place from June 28 - July 3, 2018 in St. John's NL. 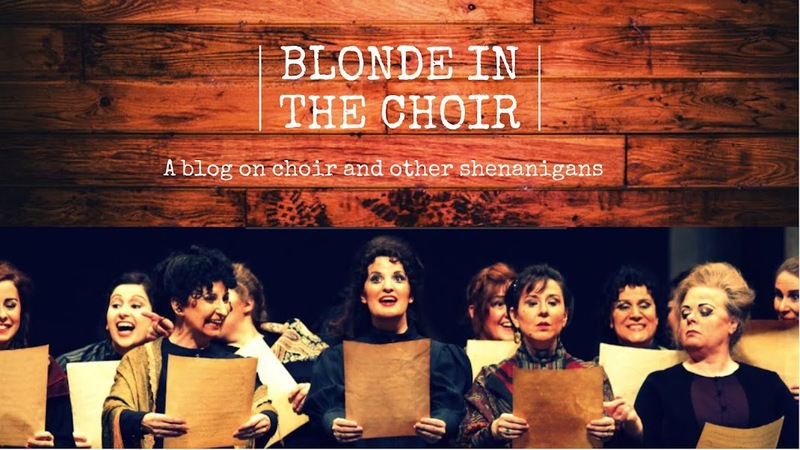 Check out my previous blog posts with The University of Redlands Chapel Singers,Toronto Children's Chorus, Les Petits Chanteurs du Mont-Royal, and Capital Chamber Choir! ‘Raise Her Voice’ (RHV) is the home for female singers who have achieved a high level of vocal and musicianship skills. RHV is known for its high standard of artistic interpretation and performance excellence, while also creating a space where young female leaders feel confident raising their voices in song and in the world. RHV choristers serve as musical ambassadors throughout our community including participation in our inclusivity program, which is a two-fold initiative: a partnership with ArtHouse of Oakville and ErinoakKids Centre for Treatment and Development, as well as our own ‘All Voices Together’ program, open to all children who wish to sing. 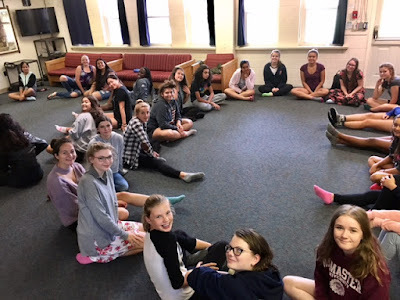 Through a mentorship approach, our choristers are encouraged to contribute artistically in rehearsal and performances through collaboration, improvisation, and idea sharing. RHV has consistently performed well at national and international competitions, being judged at Gold Medal level at the International Choir Olympics in 2004 (Bremen, Germany), World Choir Games 2012 (Cincinnati, OH) and 2014 (Riga, Latvia). RHV has recorded several CDs, produced three choral music videos, and has premiered new choral compositions by Canadian composers including John Godevas, Sarah Quartel, Jamie Hillman, Jeff Enns, and Alice Ping Yee Ho. The Oakville Choir artistic team believes passionately in the transformative power of choral music in the lives of children and youth and we strive to create an environment where young people can explore, develop, and create through singing. 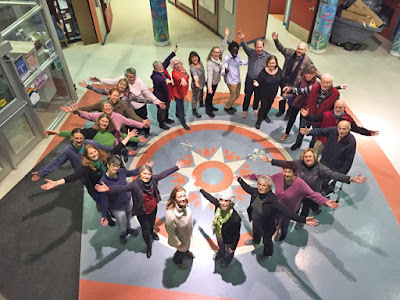 SM: We have had a fantastic season with all of the choirs of the Oakville Choir for Children and Youth – we are going into our 25th anniversary year next season so it’s an exciting time for the organization. 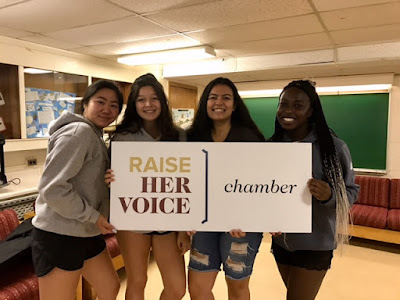 Recent highlights for Raise Her Voice (RHV) and Raise Her Voice Chamber (RHV Chamber) have been workshops with ‘Uncharted’ spoken word artists, collaborative work with the VIVA! Youth Singers of Toronto including a performance of Andrew Balfour’s powerful piece “Take the Indian,” fundraising concerts for Oomama (the Stephen Lewis Foundation), and preparing commissioned pieces with Alice Ping Yee Ho and Natalie Fasheh for our Podium concerts. We also always enjoy performing at our own concerts here in Oakville and singing everything from contemporary choral repertoire to vocal jazz to musical theatre. SM: It’s important to provide welcoming spaces for young people where they can express themselves, create, feel safe, be themselves, and take risks. We strive to make our choir one of these spaces and use choral music as our vehicle for collaboration, learning, expression, and sharing. Further, we feel that young people should have access to excellent music education programs and often the role of a community children or youth choir acts to support and enhance music education programs in schools where there are, sadly, not always singing opportunities. Singing is central to the mental health and wellness of young people – it’s also vital to the expression of values, culture, and stories. SM: Our many years of experience working with adolescent females has challenged us to hone our resources regarding appropriate choral repertoire. Because we are working with young females only, we do not have the additional challenge of the more dramatic transitioning young male voice; however, the transitioning female instrument also presents unique circumstances that need to be monitored and acknowledged when program building. In very general musical terms, we seek pieces that remain within a healthy vocal tessitura for our young voices, and that encompass a spectrum of styles and languages. It has been equally important in our programming choices to seek choral literature that serves to support an atmosphere of a creative, collaborative sisterhood and the power of singing as a vehicle for positive self-expression. We are pleased to be presenting an interest session at Podium where we will address vocal technique aspects specific to female adolescent singers such as voice classification and phases of vocal maturation, as well as pedagogical strategies that serve to support these singers. SM: We started building our program list at the end of last season when we were applying to sing a spotlight concert at Podium. We had a vision of presenting a concert inspired by stories of girls and include stories from across different times and stylistic perspectives. We also intentionally included works by female composers who we have had the honour of working with such as Andrea Ramsey, Moira Smiley, Alice Ping Yee Ho, and Natalie Fasheh. Our program vision and repertoire has shifted throughout the year, but the original spirit and intention has remained the same. 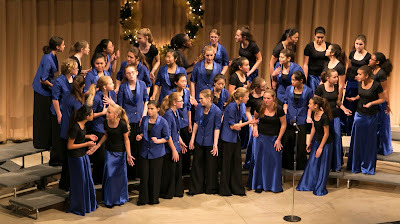 SM: Young people have such energy, passion, and curiosity that they bring to their singing and musical lives. They can be fiercely independent, but at the same time often need support; the strength of young people coming together cohesively as an ensemble is formidable. Our singers will often tell us of the stress in their lives and how coming to choir is the best way to join together with friends and find a positie and supportive space. Our singers inspire us to continue to grow and push ourselves as musicians and conductors through their questions, ideas, and ability to make incredible art through choral music. SM: One of the most powerful elements of the music that we are bringing to Podium is the opportunity to share stories through song text. Through our performance, we will assume a wide range of female characters including the three witches from Macbeth, Canadian teenage swimmers Marilyn Bell and Shirley Campbell, Millie Dillmount and her 1920s flapper friends, and Mary, Mother of Jesus Christ. We will also intersperse these characters and their stories with our own voices and stories through original poetry and text presented in our spotlight concert. We are very excited to share our performance with Podium delegates from across Canada. SM: I was fortunate enough to grow up in a very musical household where informal music-making was a focus. My parents are not professional musicians, but I recall singing songs around many campfires at our family cottage and creating harmonies by ear with my sister. 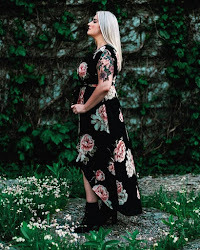 I also grew up singing in church choirs and our family even sang Sunday anthems – we were known as the “Morrison family singers.” At the time, I was a bit embarrassed, but I love it now! I was fortunate to have piano, theory, and vocal lessons growing up as well as to sing with amazing choirs in the Greater Toronto Area including the Toronto Mendelssohn Youth Choir under the direction of Robert Cooper. Along with classical and choral music, I have always had a love of musical theatre and found myself happiest when I was playing a character. Many an afternoon was spent singing along to show tunes with ‘Oklahoma’ and ‘Joseph and the Amazing Technicolour Dreamcoat’ being my favourites. I believe that my love of singing and acting combined with my understanding of the power of choral music – to be a part of something so beautiful that is bigger than the individual – was what drew me to choral music as a career. I also love being around people and the skills needed to lead a children and youth choir organization align with my passions for music, communication, and education. CP: Like Sarah, I also grew up in a family who loved to make music and who prioritized musical training for us kids. It was expected that all of us would learn instruments, and it was normal for us to sing together in harmony at family gatherings, church events, and other occasions. After high school, I left Vancouver for Winnipeg to pursue my musical training and, although I arrived as a pianist, I left that city as a singer. The fantastic choral music in Winnipeg inspired me more than any other musical experience I had had to that point. At that formative time in my life, I was privileged to work with Dr. William Baerg at the Mennonite University where I was studying, and through his leadership we were exposed to great oratorio works, a new Bach motet each year, and such internationally renowned guest choral conductors as Robert Shaw and Helmuth Rilling, We toured across the country, laughed a lot, and built lasting memories and friendships that have shaped my love of singing to this day. I have been privileged to sing in and lead many other choirs since then, and I continue to be inspired by the camaraderie, the collaboration, the fun, and the emotional depth that choral music generates in its participants and listeners. As choral musicians we breathe together, listen carefully to each other, and create something larger than each person can produce individually. What could be better than that?! 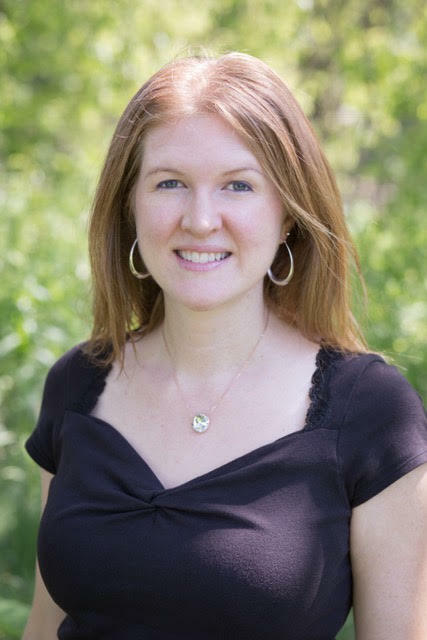 Dr. Sarah Morrison is the Artistic Director of the Oakville Choir for Children and Youth and the Director of Learning and Teaching Innovation at Appleby College. A passionate educator, she serves as an adjunct faculty member at Queen’s University teaching courses in the Faculty of Education. Her choirs have won awards at international levels including a Gold Medal at the 8th World Choir Games in Riga, Latvia. Dr. Morrison is known for her energy and creativity in working with young voices. Dr. Morrison is the 2010 winner of the Leslie Bell Award for Choral Conducting awarded by the Ontario Arts Council. She writes the Youth Choir column for Choral Canada’s Anacrusis and served the board of Choirs Ontario as the Vice-President. Dr. Morrison sang soprano with the JUNO-nominated Canadian Chamber Choir for the past decade and is a frequent conference presenter and guest conductor in Canada and the United States. 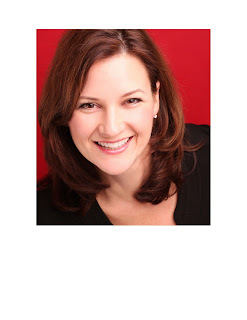 Dr. Charlene Pauls is the Associate Music Director of the Oakville Choir for Children and Youth and the Artistic Director of the London Pro Musica Choir. She is also on the teaching staff at St. Michael’s Choir School in Toronto. As a conductor, she has been particularly influenced by her experience as a professional singer and voice teacher to inform her work on developing healthy choral technique and blend. She has appeared as a Soprano soloist with orchestras across Canada and Europe, including the Vancouver Symphony, Winnipeg Symphony, National Arts Centre Orchestra, and with ensembles in Germany, Spain, France, and England. Her work as a voice clinician has led to invitations to adjudicate vocal and choral festivals across the country. Thank you so much, Sarah and Charlene! 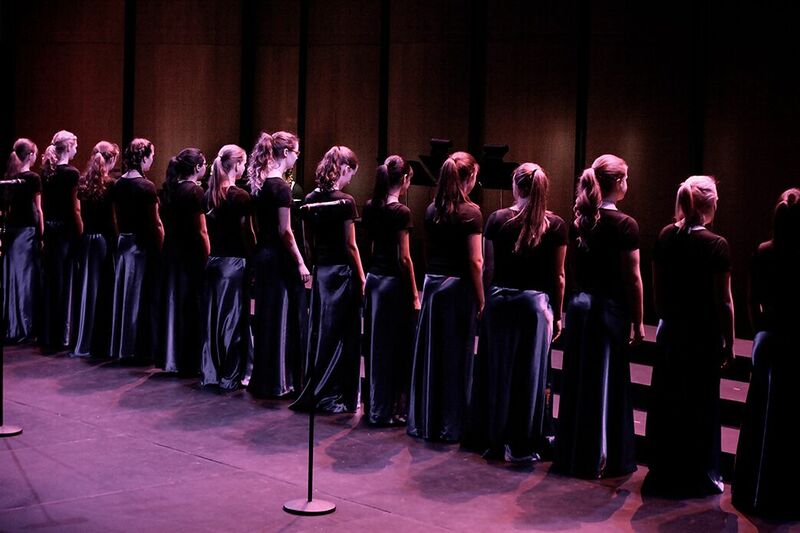 The Oakville Choir for Children & Youth performs on Monday, July 2nd, 2:00pm at the Cochrane Centre as a Spotlight Choir for #Podium2018. Thanks for this wonderful feature, Amy! We are grateful! :) Looking forward to meeting you at Podium!